Well, I recently found a chicken salad recipe to tweak to make it paleo friendly. It’s easy to make and quite tasty. Really. Quite tasty. Perhaps it’s the hint of red pepper flakes and the olives. Yum! Next, we’ll be dicing up the red onion and adding it to the vinegar. That’s the hardest part … (laughing) Ready to try it? 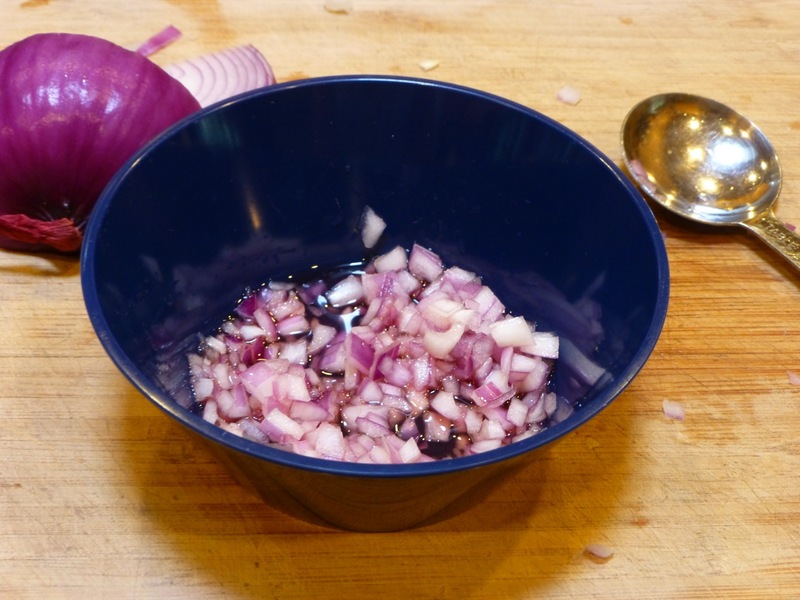 Mix the minced onion with the vinegar in a bowl and set it aside. Bring 1 1/2 quarts of water to a boil and add about 2 tablespoons of salt. Cut the chicken breasts in half crosswise and place them in the water. Reduce the heat to low and let the chicken cook very gently, at barely a simmer, for 10-15 minutes, until it’s just cooked through. 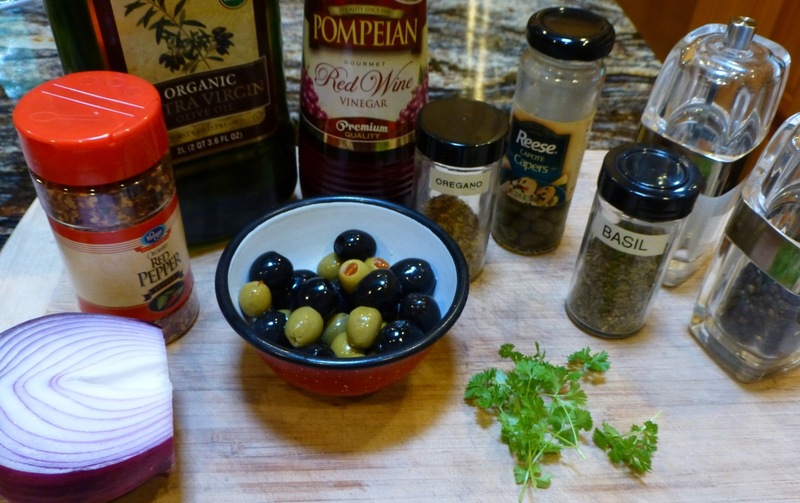 While the chicken is cooking, mix the olive oil, capers, olives, chile flakes, and oregano in a large bowl. When the chicken is done, place it on a cutting board to cool. Add the onions to the olive bowl mixture. Once the chicken has cooled enough to handle, cut it into small pieces or shred it. Gently mix the chicken and parsley in with the olive mixture. 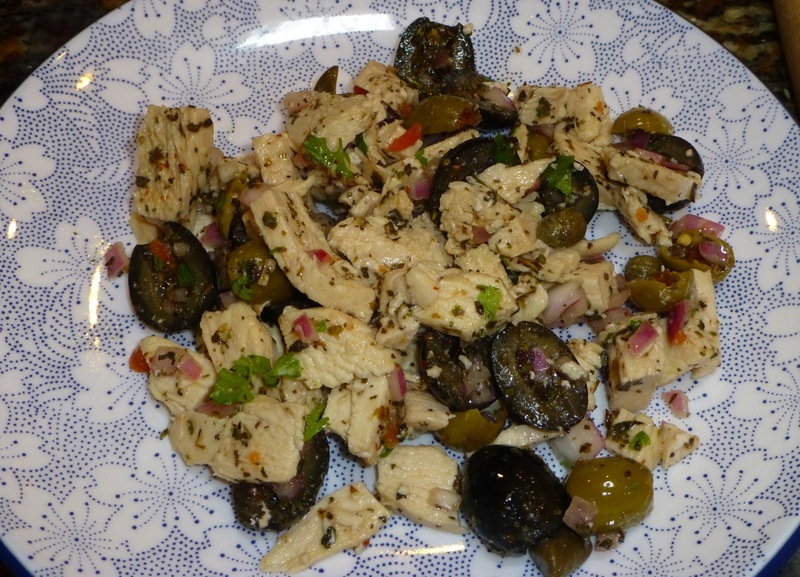 This recipe was adapted from Mediterranean Chicken Salad and is a must to try.